Another new addition for them meat lovers is ‘Grilled Pork Bulgogi Wraps’ which look lush, and not too heavy to put you off your main. There is also new ‘Mushroom Onigiri’ for vegetarians. To get in the Summer Spirit there is also the addition of 3 new salads on the menu; lobster, chilli chicken and grilled tuna. I will be definitely trying them as the weather gets warmer. 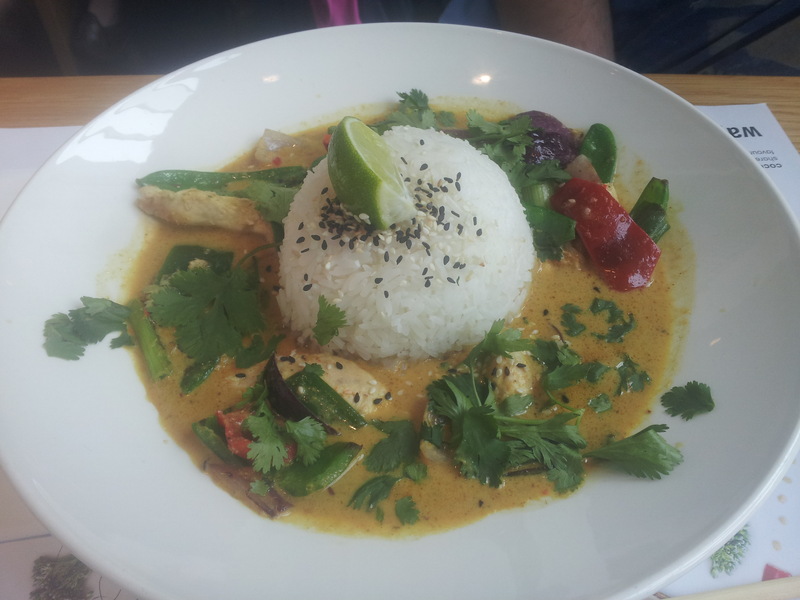 This is one of the things I love about Wagamamas, gorgeous food and you can opt for a healthier dish if desired. One of my favourite new items on the menu is the brown rice. When I’m not scoffing chocolate I can be a bit of a health freak, brown bread, brown pasta, brown rice… so I am definitely a fan of this. 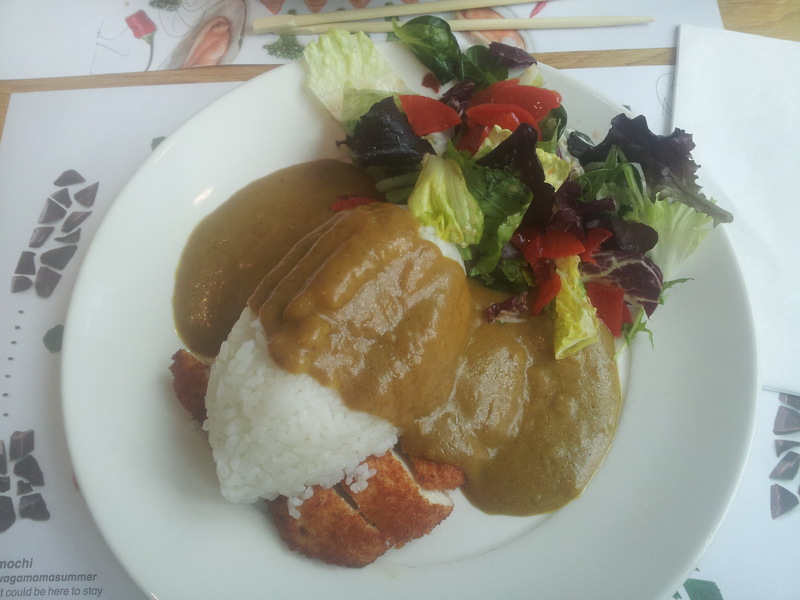 I am a massive Katsu Curry lover, always have been, always will be. I crave Katsu Curry so much that I may treat myself a bit too often to a Wagamamas. However I also tried the ‘Chicken Raisukaree’ – and I have to admit, it was delish! One of my main worries is the sauce/rice ratio, but here was plenty of sauce so the rice wasn’t dry -and they definitely didn’t skimp on the chicken or the veg. It has a coconut and lime taste – quite a summery curry I feel. I think next time I attend I may have to make a cheeky change of dish. Throughout our meal a member of staff came over and checked that we were ok, which we obviously were as we were filling our faces! So all in all I give Wagamamas a 10/10 for service, food, and the range of healthy foods for those dieters! For more info go to http://www.wagamama.com/!